Right hand, left hand. At last, Romans and Jews agree! Genetically, many more humans are right handed than left handed. When everything needs to be done the same way, therefore, there is a natural tendency to require that the procedure favor the right handed. 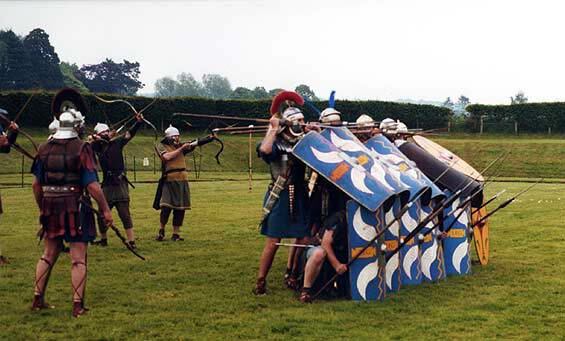 For example the Roman army required all foot soldiers to hold the shield with the same hand, for the sake of tight formations such as the Tortoise or the Shield. Formal Roman meals were taken reclining on one elbow. You reclined to the left, and ate with the right hand. Jews also celebrated feasts including Passover this way (as in the Last Supper, despite later European depictions). In Judaism left handedness is accepted, but only as an unfortunate imperfection along with blindness, lameness or a lisp. Any of those imperfections disqualified a priest from serving in the Temple in Jerusalem.